Banks in Thailand are governed by the country’s central bank, the Bank of Thailand, which was established in 1942. This independent entity supervises local financial institutions and provides banking facilities, prints and issues banknotes and security documents, promotes monetary stability, and sets monetary policies. Moody’s Investors Service gives a stable outlook to banks in Thailand, as of 2018. The ratings agency’s outlook can be attributed to the improvement of the banks’ operating environment, as well as to the strong capitalization and loan loss reserve coverage. However, the banking sector will be affected by weak private sector investment, political uncertainty, and the high level of household leverage. 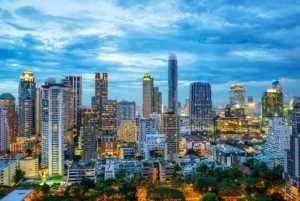 For anyone considering a banking career in Thailand, this list of top banks in Thailand is a helpful guide on where to start. 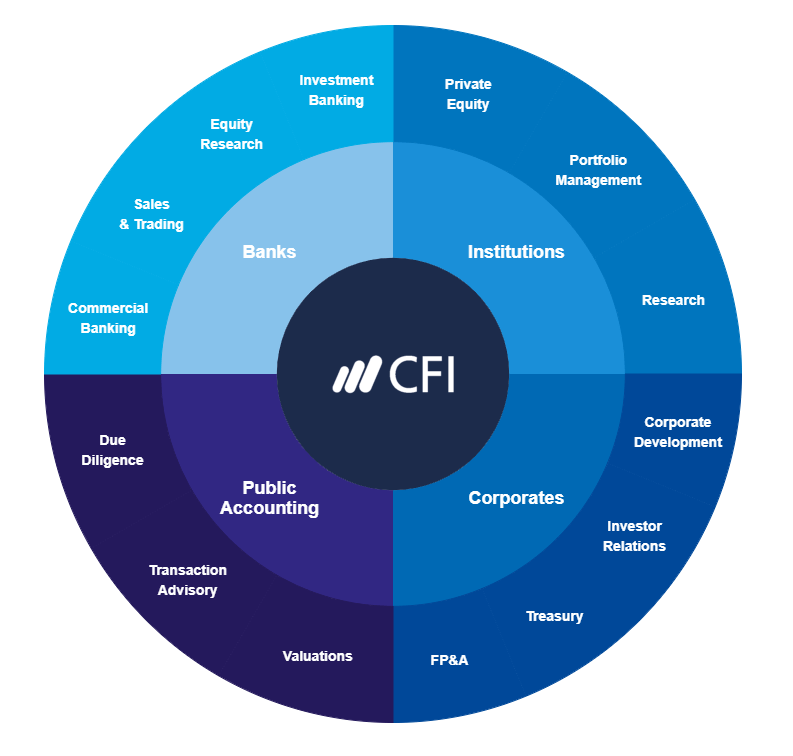 See our list of financial institutionsCompaniesLists of the main players in corporate finance. We've got lists of the most important financial services companies, banks, institutions, accounting firms, and corporations in the industry. Browse these guides to prepare for a career in financial services and start networking today to accelerate your career to learn more. Bangkok Bank is the largest of the banks in Thailand in terms of assets. It was formed in 1999, and is also the country’s top bank in terms of the number of overseas branches, with 26 international offices in 13 countries. It operates through 1,238 branches. Bangkok Bank is also a publicly listed company and is one of the top five largest companies traded on the Stock Exchange of Thailand. Kasikorn Bank was founded in 1945 as Thai Farmers Bank. It is one of the largest banks in Thailand in terms of total assets, loans, and deposits. It provides a range of products and services, including consumer, commercial, and corporate banking. Kasikorn was the first of the banks in Thailand to provide credit card services, starting in 1973. It was also the first bank in the world to utilize mobile phones as a secure payment system. It operates through 1,054 branches locally and five offices in other countries. Siam Commercial Bank, founded in 1907 under a Royal Charter, was the first domestic bank in Thailand. It became listed on the Stock Exchange of Thailand in 1976. It was the first bank to introduce ATMs in the country, in 1983. This universal bank is headquartered in Bangkok and offers a range of banking products and services across industries such as insurance, real estate, and leasing. State-owned Krung Thai Bank has provided commercial banking services in Thailand since 1966. It is also the government channel for financial services needed in its initiatives. Krung Thai Bank was the result of a merger of two government-owned banks, Kaset Bank and Monton Bank. Krung Thai Bank was the first state enterprise to be listed on the Stock Exchange of Thailand – in 1989, with the Ministry of Finance as its major shareholder. It operates a network of 1,210 branches in the country, making it the Thai bank with the largest number of domestic branches. Field Marshal Sarit Tanarat established TMB Bank in 1957, with the aim of providing financial solutions for military personnel. It became a commercial bank in 1973, offering banking products and services to the general public. TMB Bank was recognized in 2015 as the Best Managed Bank in the Asia Pacific region, the first Thai bank to receive that award. Bank of Ayudhya, also called Krungsri, was established in 1945 and is one of the largest banks in Thailand in terms of assets and deposits. It offers a range of banking services, including investment, asset management, and consumer finance through its network of 657 local branches, three international offices, and 5,311 ATMs in Thailand. The Bank of Tokyo-Mitsubishi UFJ became the majority shareholder in Krungsri in 2013, replacing GE Capital. Thanachart Bank, formerly called Ekachart Finance Public Company Limited, was established as a finance company. It is currently known as the leading automobile lender in Thailand. Its parent company is Thanachart Capital PCL (TCAP). Thanachart received its restricted banking license and started operations in the country in 2002. The bank obtained its full commercial banking license in 2004. Almost half of the bank is owned by Scotiabank of Canada. It is headquartered in Bangkok, and provides banking services to four million customers through its network of 600 local branches. Full-service Kiatnakin Bank offers banking and depository services to three business segments – capital markets business, commercial banking, and debt restructuring. Kiatnakin was established in 1971 as a financial services company. The bank received its commercial banking license in 2005. The bank merged with Phatra Capital Public Company Limited in 2012 to become Kiatnakin Phatra Financial Group. It currently operates through 66 branches across the country. CIMB Bank, formerly Bank Thai, operates as a subsidiary of CIMB Group. It is one of the largest banks in Thailand in terms of assets. The bank was created in 1998 after the consolidation of 14 financial institutions in the country, as a result of the 1997 Asian financial crisis. CIMB Bank serves individuals and businesses with a wide range of banking products and services such as commercial and consumer banking, investments, insurance, and Islamic banking. Standard Chartered Thailand is a subsidiary of the international financial group, Standard Chartered. The bank began operating in the country in 1894. It offers consumer and wholesale banking products and services. Standard Chartered merged its Thai branch with Nakornthon Bank in 2005 and renamed the new entity, Standard Chartered Bank (Thai) PCL.